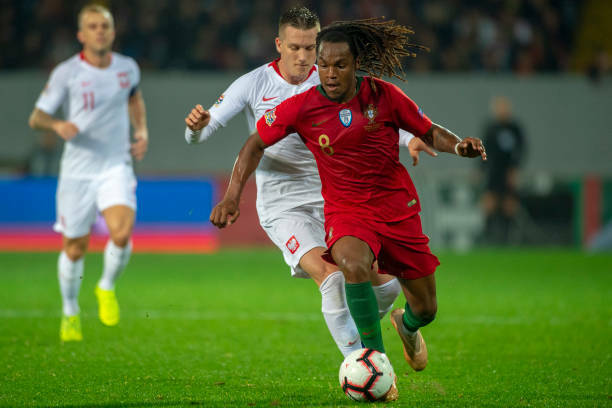 Renato Sanches set up the opening goal for Andre Silva with a corner in the 33 minute to assist the Portuguese national team to end the Nations League group stage with a 1-1 draw against Poland. Poland equalised midway through the second half when Arkadiusz Milik converted a penalty conceded by Portugal defender Danilo, who saw red for the foul. Poland missed their captain Robert Lewandowski, who travelled back to Bayern Munich because of slight knee problems. While Portugal have qualified for the finals tournament as winners of Group A3.